While technology changes in most industries, the tools of the cobbler remain now as then: hammers, mallets, nails. Crafting a shoe is a bit like creating a sculpture. In the workshop, the fragrance of leather floats in the air. 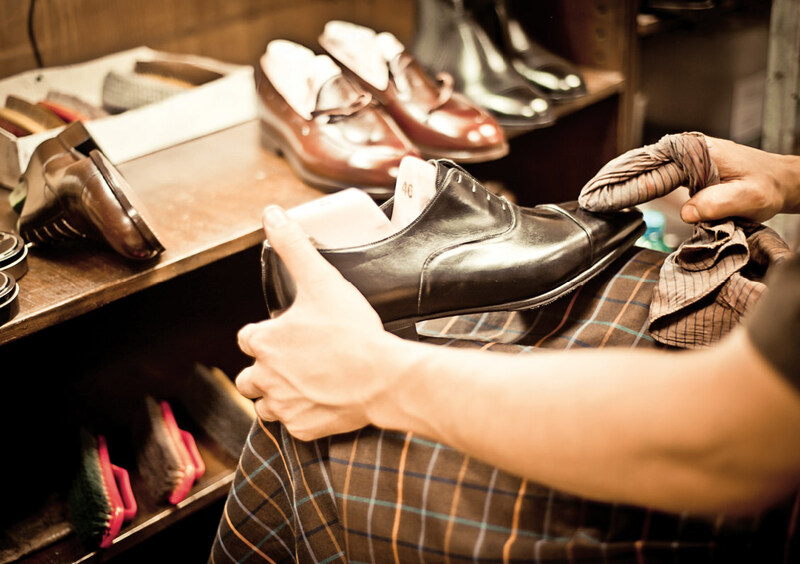 Almost everything a cobbler does takes muscle—cutting, hammering, rasping, burnishing. There is a certain majesty to a beautifully constructed pair of men’s shoes. Entering the artisanal shop in the Eternal City is like setting foot in a well-appointed home. Along with a suit and a solid heirloom watch, there are few pieces in a man’s wardrobe that bring a touch of quiet, tactile luxury to everyday life. There is a certain majesty to a beautifully constructed pair of men’s shoes, something solid and substantial: the swoop and curve of soft leather, the gleam of the polished patina, the proportion of the shoe’s throat line. Oxfords, wingtips, derbies, cap-toed lace-ups, slip-on loafers, monkstraps, opera pumps—the glossary of men’s shoe terms may not be as extensive as that of women’s, but it is resolutely more stately. 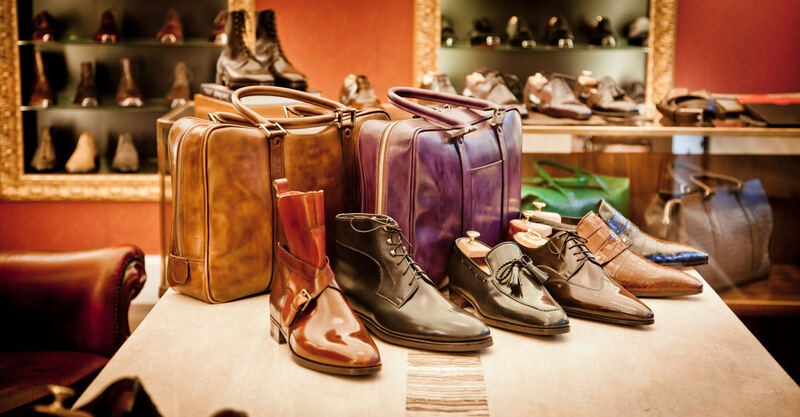 What began as a hobby business in 1997 became a proper shop in 2001: Bocache & Salvucci Calzolai (shoemakers). “Sober, yet never conventional” is how Bocache describes his style. 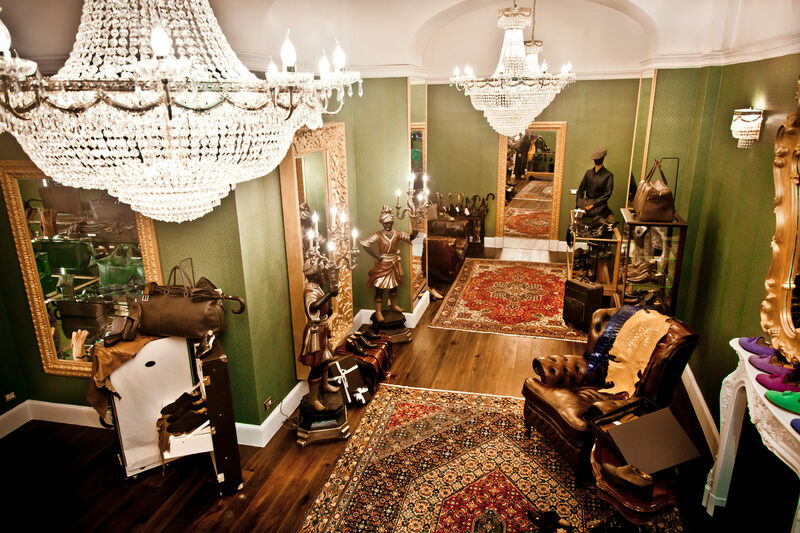 Entering the artisanal shop in the Eternal City is like setting foot in a well-appointed home, a salotto with a theatrical chandelier and built-in wall displays, shelves five-high showcasing the myriad models and colours possible when one chooses to go bespoke. It’s an array of shoes of delicate creativity and obvious quality. The glossary of men’s shoe terms may not be as extensive as that of women’s, but it is resolutely more stately. “The culture of beauty has been lost,” says Salvucci. “Things have become about consumerism and abundance, as opposed to the quality.” Like a growing number of his generation, Salvucci is committed to Old World artisanship over mass production. Young blood is rare in the world of bespoke footwear, but with the resurgence of interest in craftsmanship, Bocache, 45, and Salvucci, 44, are a new generation of cobblers. 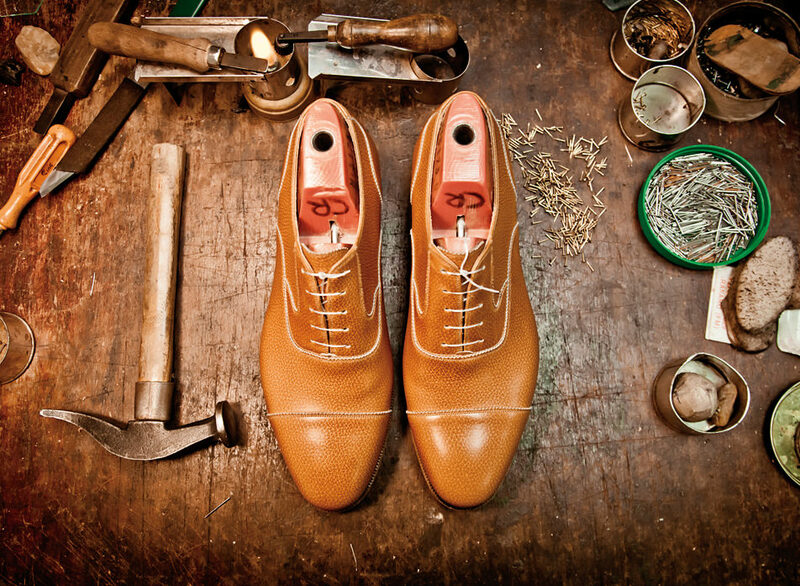 A typical pair of Bocache & Salvucci custom shoes takes 20 man-hours to construct, over a period of two months. There is a fitting—tedious measurements for volume, width, weight bearing, and a trace of the shape of each foot on paper, in addition to several notes on every nuance of the foot, such as unusual toe joints, bone spurs, and crooked toes. From these measurements, lasts—models of each foot, precisely carved out of beechwood—are created. Crafting a shoe is a bit like creating a sculpture. The last is used to make a prototype—a fully functional shoe made of second-rate leather—which goes to the client and is then marked for further adjustments. (Bocache and Salvucci travel to their clients when a fitting in Rome is not possible. In Canada, they visit Montreal’s Maison Cloakroom every two to three months.) Soles and uppers are constructed around the last, painstakingly stitched by hand. Designing a shoe may have an aura of glamour, but making one involves hard labour. The physical exertion required, not necessarily due to any individual task but the repetition of it, can be intense. Almost everything a cobbler does takes muscle—cutting, hammering, rasping, burnishing. Young blood is rare in the world of bespoke footwear, but with the resurgence of interest in craftsmanship, Bocache, 45, and Salvucci, 44, are a new generation of cobblers. At the various stages, the shoe “needs to rest,” says Salvucci. “Making a shoe is like wine. 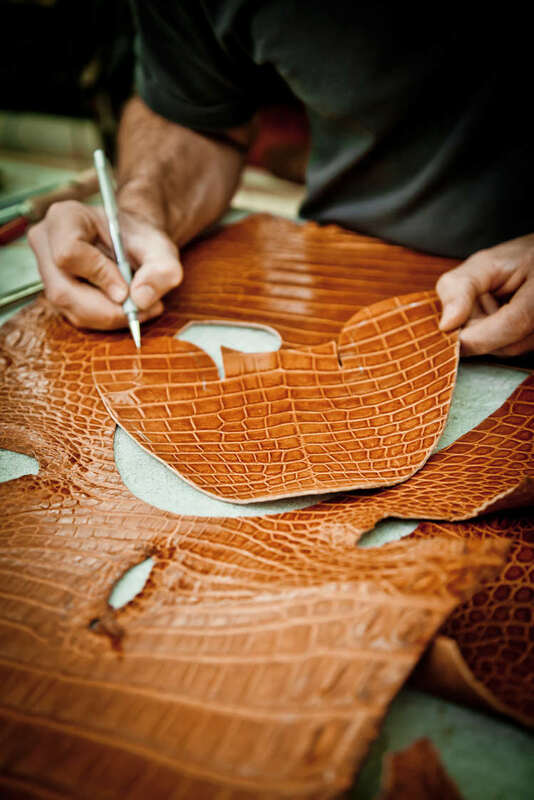 The longer it rests, the better it is.” Salvucci is commenting on the multiple phases of working the leather, as it has to be wetted, moulded, and dried several times throughout the process to ensure it holds its shape. heel, and pelle, for the thinner and softer skin taken from calves, goats, sheep, pigs, and many kinds of reptiles. Over time, technology changes in most industries, but not so much for a cobbler. The tools of the trade, now as then: hammers, mallets, nails.